The Awful, the Bad and the truly Awful Bad. Uncovering the hidden gems of Craigslist. theAd>> These are great for the holidays, everyday, or just for fun! I have many different colors to chose from! The flowers are interchangable (clip on) so you can mix and match. They are one size fits all (baby to adult). 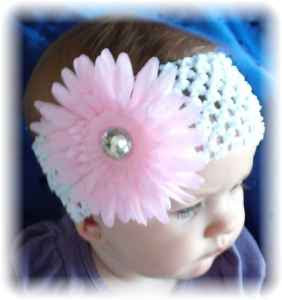 You can also wear the clip flowers alone as a barrette. I can sell single or as a gift set. Okay, these are not "great" or "fun" They are just large and....floral. There are some things that simply do not need to be decorated and I firmly believe baby heads fall into this category. Labels: Fashion?, Makes a Great Gift? People are constantly stopping me at the grocery store, movie theater and spray-on tanning salon to ask me "Is it Carpet or Ground Beef?" I believe that this is a very personal question and should be left up to the individual. Each one of us must decide for ourselves, using what ever moral or spiritual compass we choose. For me, the answer is yes. Just because Craigslist let's you post somehting, does not mean you should. It is our mission to uncover the truth. Scouring the nation to bring you the awfulest bad. You deserve it and we make it our mission, because we care.